Okay folks, I realized something MAJOR this weekend. Super MAJOR as in ‘rock my world’ MAJOR. I’ve had grilled romaine before but never quite like this. It’s always served with olive oil and vinegar and well, that’s just boring to me so I tossed around a few ideas and peaked into my fridge for some fun dairy-free ingredients to coat these crisp heads of romaine. 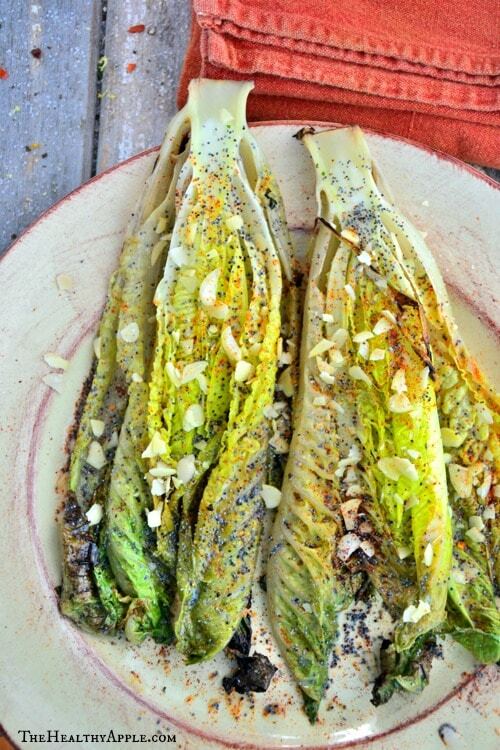 I’m not sure what you’re thinking right now… romaine on the grill with almond milk? Yes and yes. And I know these little romaine hearts don’t photograph so well but let me tell you- they are Delish! I mean, I can’t really think of a better summer dish for a simple week night dinner or a weekend BBQ. But yeah…these heads proved quite challenging to make a plate of romaine look as fabulous as they taste. And well, some of the most tasty food is just not so attractive. 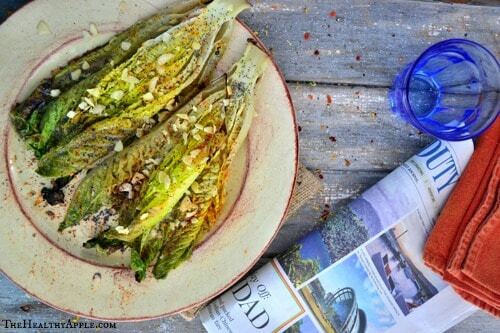 But I still hope you’ll dig into these ‘creamy’ heads of romaine because boy o’ boy did I have my family smiling when I served these alongside our first summer BBQ of the season! This simple side dish is perfect for this time of year! The addition of almond milk and slivered almonds was something a little different- it gives the romaine a little sweetness. My father ate every bite- which is saying a lot since he’s not a huge romaine kinda-guy! 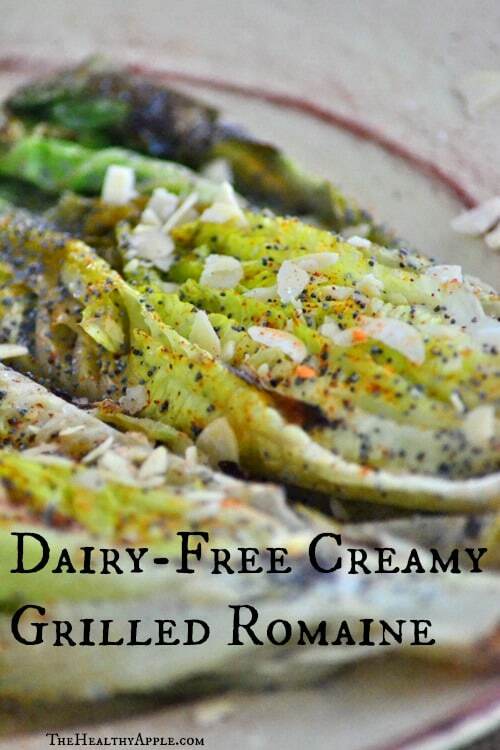 For this recipe you’ll want to grab a few heads of fresh organic romaine lettuce, almond milk, slivered almonds, chili powder, poppy seeds, sea salt and pepper. Let the grill do all the work, people! And if you don’t have a grill, let me just tell you that you can use a grill pan on your stove top. What’s the trick to this simple recipe? The poppy seeds- just a pinch will do and is all these guys need to go from being so-so to out-of-this-world delish! (Just don’t forget your sunscreen). Meanwhile, in a large bowl, whisk almond milk, poppy seeds, chili powder, pepper and sea salt. 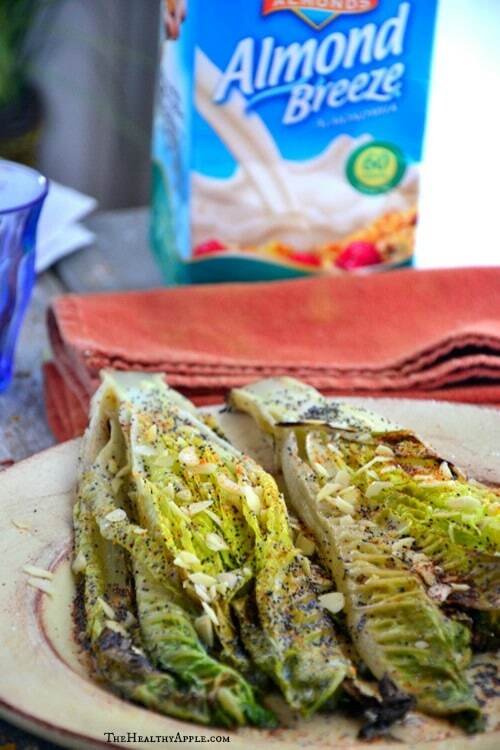 Using tongs, gently lay each romaine head into the almond milk mixture and roll in the milk until coated. 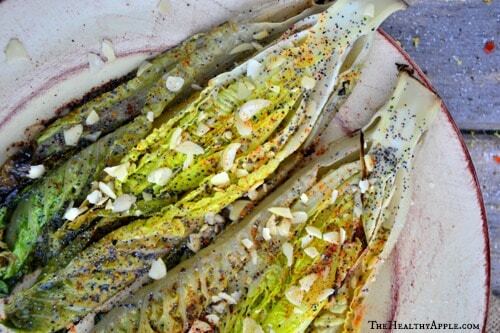 Transfer romaine to the hot grill. Grill for 5-6 minutes or until tender. Remove from grill and slice each head in half lengthwise, then sprinkle with slivered almonds. I always have almond milk on hand. Great call! 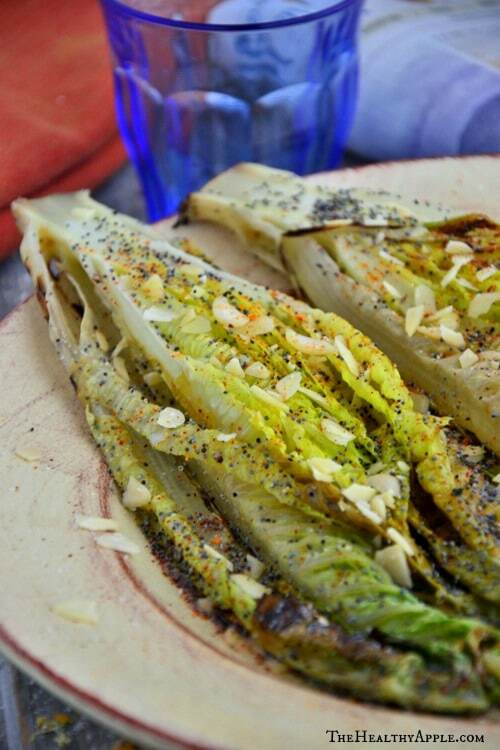 I LOVE LOVE LOVE grilled Romaine! 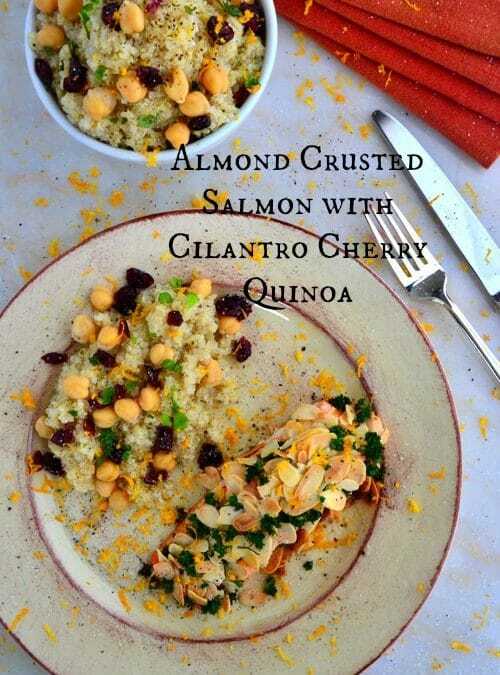 You’ve done awesome things with your preparation method here- since I love almonds too, I know I will love this one! Can’t wait to see you this weekend! I’ve never thought to grill romaine before but this looks absolutely delicious. 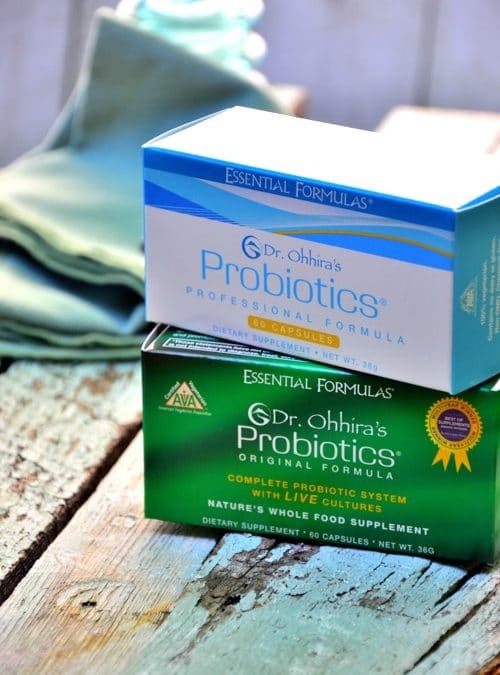 What a healthy alternative to spice things up and do more to your greens ! Thanks so much; hope you enjoy it! Sounds amazing Laura; I love that idea! I’ve never sauteed romaine!